The Toodyay Agricultural Show offers a forum for local businesses and producers to exhibit, display and participate in different arenas, eg. cattle, sheep, goats, home produce and many more. The Show displays unique exhibits by local artists and crafters and has an extensive entertainment programme. 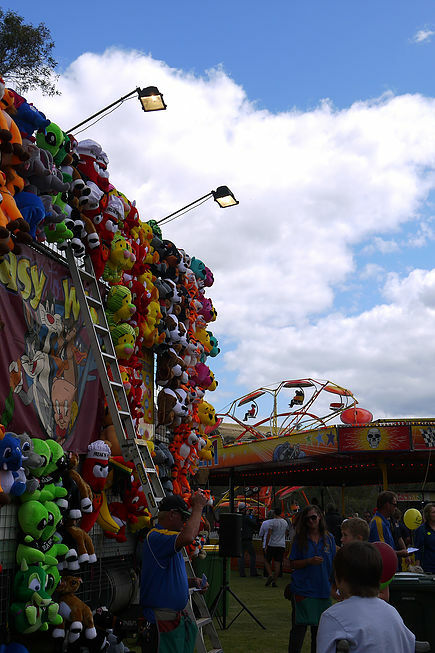 Experience a country show and enjoy the entertainment, displays and exhibitions. Toodyay Showgrounds, 9am – 9pm. Equestrian Ring events commence at 8 am. A special fireworks display will conclude a great day out for the whole family. Entertainment continues throughout the evening. If you are interested in becoming a stallholder at the Show please view our Exhibitors page. No Smoking Event. No dogs allowed.